Nothing so captured John Denver’s imagination like flight. In addition to being an accomplished pilot, Denver was also a devotee of birds of prey, or raptors — the hawks and eagles that soar through the skies with grace and power. Indeed, Denver’s attraction to raptors soon drew him into a friendship that helped preserve one of North America’s most important raptor habitats. In the 1970s, Denver befriended Morley Nelson, a legendary figure among raptor lovers who is featured in Let This Be A Voice. Nelson, now in his 80s, is famous for helping cajole politicians into creating the world famous Snake River Birds of Prey National Conservation Area in Idaho. The 485,000-acre preserve straddles 81 miles of the Snake River and is centered on the river’s deep canyon. Here, cliffs tower 700 feet above the river and provide countless crags where hawks, eagles, and falcons nest. Biologists believe the preserve attracts the greatest concentration of nesting birds of prey in North America — and perhaps the world. “The area is actually a giant, natural raptor nursery,” notes a print guide to the preserve published by the federal Bureau of Land Management. “Fifteen species nest here each spring. Nine other raptor species use the area during part of their annual migration.” Among the biggest visitors are golden eagles, seen perched in their cliffside nests in Let This Be A Voice. But getting a good view is no easy task. Denver and Nelson had to don rock-climbing gear and rappel their way down a cliff to catch a glimpse of a fledgling eagle just days away from flying. The proud infant, however, seems regally indifferent to the dangling guests — and the cars racing along a highway far below. The preserve is also home to one of the world’s speediest raptors: the sleek prairie falcon, which has been known to dive at speeds of 70 miles per hour. 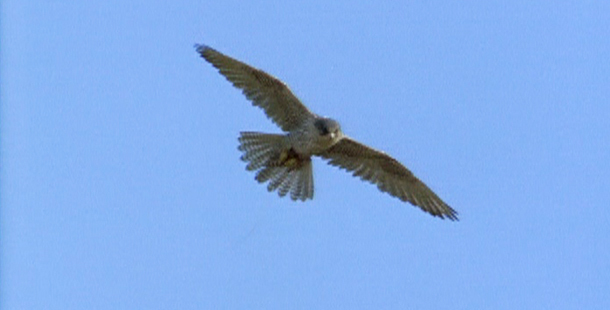 Indeed, the preserve is especially important for the falcons. 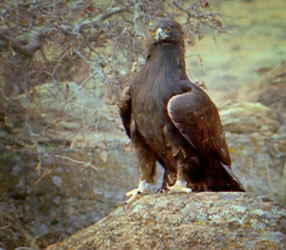 About 200 pairs nest there, representing up to 25 percent of the known population. The falcons appear to be attracted to the area by the fine nesting ledges and the abundant populations of Townsend’s ground squirrels that scurry around the nearby prairies. Eagles, on the other hand, prefer heartier fare: black-tailed jackrabbits. Thanks to Nelson’s work and Denver’s support, thousands of people can now flock to the rugged preserve each year to watch the nesting raptors soar and wheel in the clear Idaho sky. Who knows — perhaps their lazy circles will move another young musician to song — and to action.